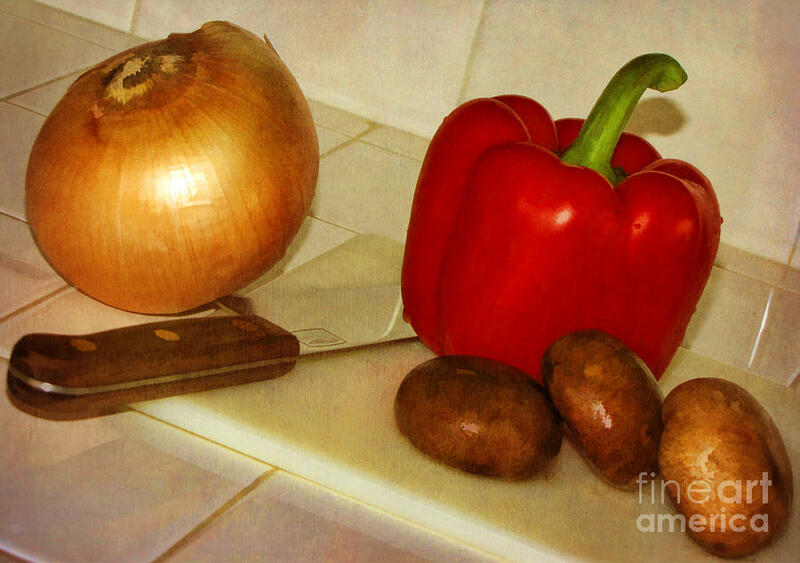 Kitchen Prep is a photograph by Peggy Hughes which was uploaded on January 20th, 2013. 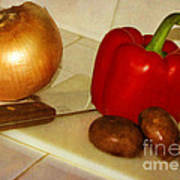 Textured still life photograph of a kitchen scene, featuring brown onion, crimini mushrooms, and a red bell pepper on a cutting board with a knife, ready to be chopped for dinner. 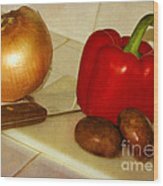 There are no comments for Kitchen Prep. Click here to post the first comment.